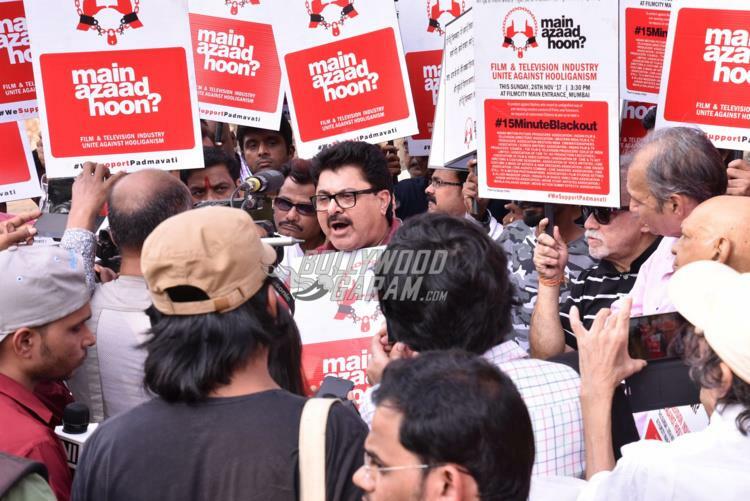 Members of the film fraternity gathered on the streets to show support for the film Padmavati on November 26, 2017. 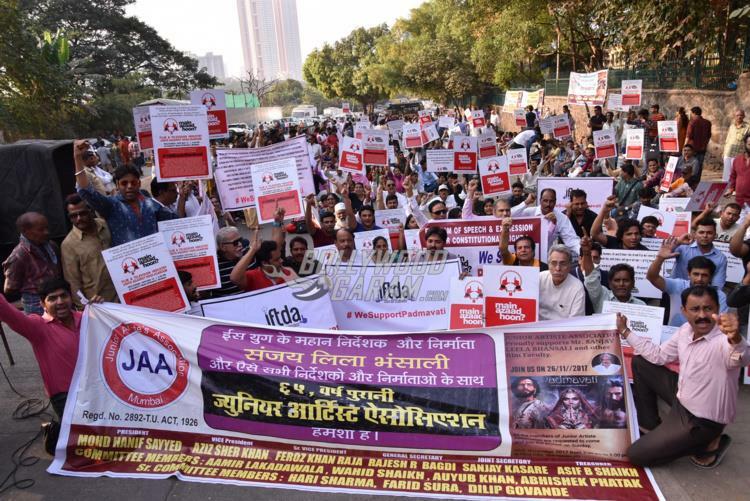 A large number of filmmakers from the fraternity were seen on the streets holding banners while extending support for the Sanjay Leela Bhansali film and expressing their right to freedom of speech and expression. 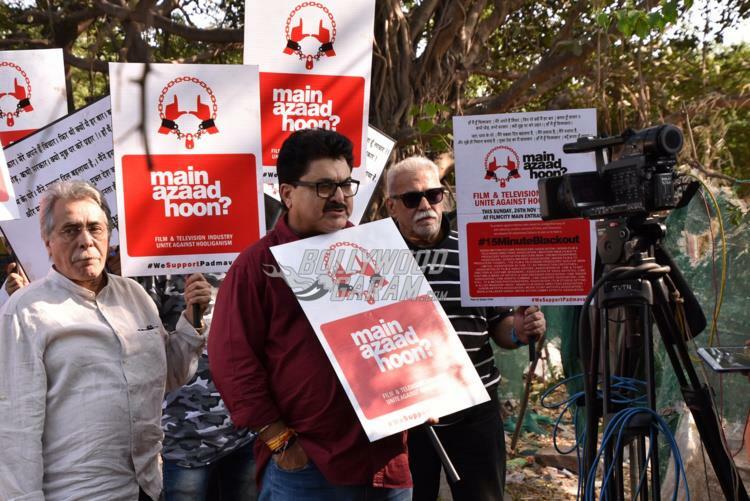 The filmmakers also reportedly protested against the communities like Karni Sena who have threatened the filmmakers and the artists to stop its release. The protestors began with the National Anthem in memory of the victims of the infamous attack of 26/11 as November 26 marked the 9th anniversary of the incident. The participants of the protests included the members of Movie Stunt Artist Association, Junior Artists Association, Mahila Kalakar Sangh Association and many others who were present at the main entrance of Film City. All the union members had switched off the lights on the sets and stopped the shooting to show support towards Padmavati. Upcoming film, Padmavati has been receiving support from the film fraternity despite protests from various religious groups. The filmmaker Sanjay Leela Bhansali has been accused of disturbing the history with his film Padmavati. There were rumours that Bhansali had added a dream sequence between Ranveer Singh who played Alauddin Khilji and Deepika Padukone who played Rani Padmini. But the reports were then rubbished by the makers. 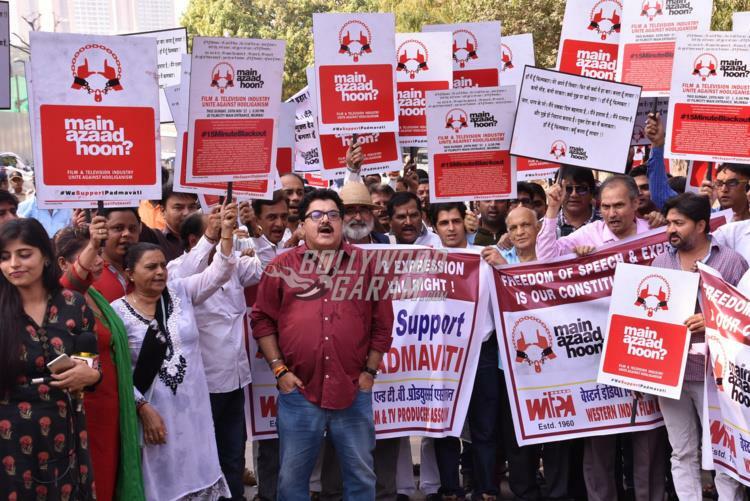 Exclusive photos of film fraternity showing support for Padmavati‘s release!